Interim UFC light heavyweight champion Jon Jones (pictured) has been slapped with a one-year suspension by the United States Anti-Doping Agency (USADA), the third-party company the UFC hired to conduct drug tests on their roster. Jones became the first UFC fighter to enter arbitration with the USADA during last week’s hearing in Los Angeles regarding the flunked out-of-competition drug test he submitted on June 16. The independent three-person arbitration panel from McLaren Global Sports Solutions, Inc. (MGSS) announced its findings Monday and suspended Jones for the maximum the USADA is allowed – one year, retroactive to the July 6, 2016 date that the results returned. 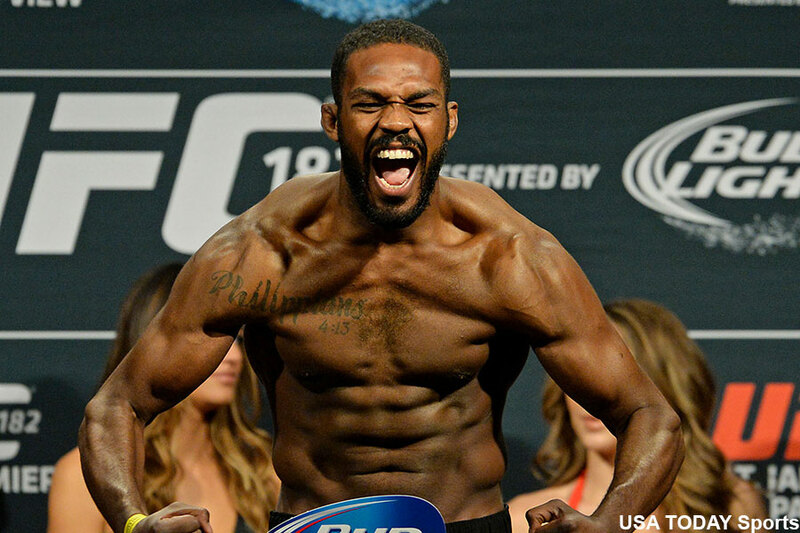 Jones received a provisional ban in July after testing positive for clomiphene and letrozole, a form of Tadalafil. He denied any wrongdoing and fingered a contaminated sexual enhancement pill he received from teammate Eric Blasic that Jones believed to be Cialis. During arbitration, Jones revealed he later discovered the “d*ck pill” was not Cialis, but a similar form of Tadalafil that Blasich purchased from AllAmericanPeptide.com. The USADA ordered and tested the same Tadalafil pill from AllAmericanPetptide.com and discovered it was contaminated with the same banned substances Jones was popped for. The panel acknowledged that Jones is “not a drug cheat,” but extremely “reckless” in consuming a random pill before confirming exactly what he put in his body. Neither Jones nor the UFC have addressed today’s verdict. Jones was slated to face light heavyweight champion Daniel Cormier in a title unification bout in UFC 200’s featured attraction before getting yanked from the bout just three days before showtime due to his positive drug test. It is believed Jones lost out on roughly $9-$10 million by getting pulled from the historic event. Jones is still facing possible punishment from the Nevada Athletic Commission, the committee who oversaw UFC 200. Jones’ hearing has not been set with the NAC.